Kraft Singles has been bringing the family together for over 100 years. The unmistakable creamy melt and American flavor is perfect for cheeseburgers, grilled cheese sandwiches, and so much more! 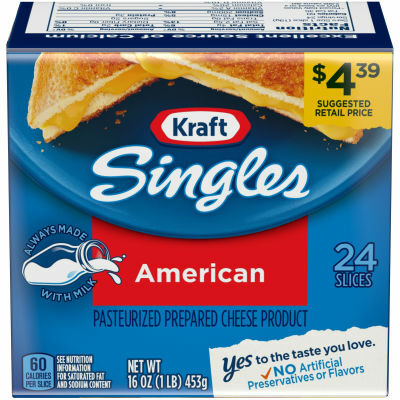 Get our 24-count package of American Cheese slices for that melty, great American taste you love with no artificial preservatives or flavors.